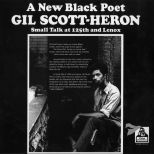 His album of poetry and music from 1971. 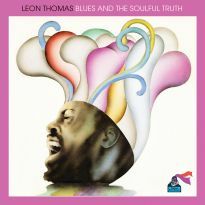 A groundbreaking debut that is still influential. 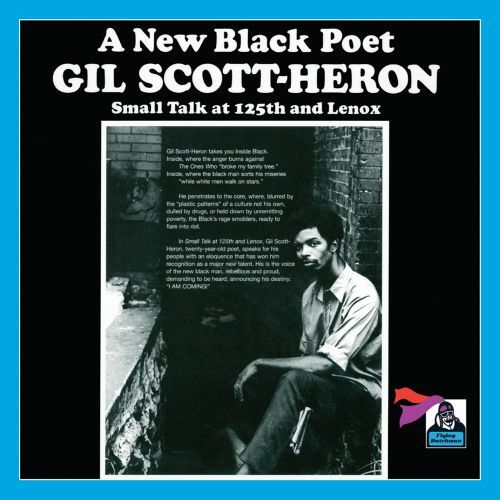 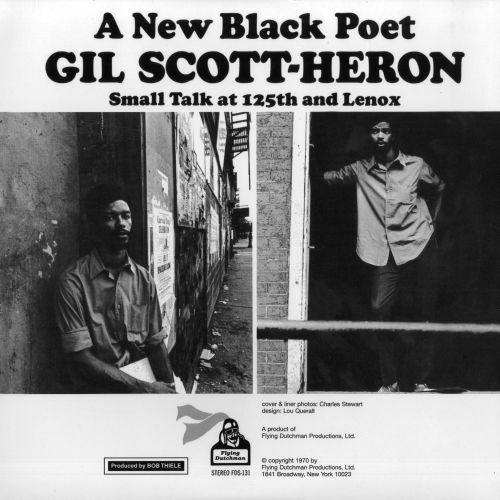 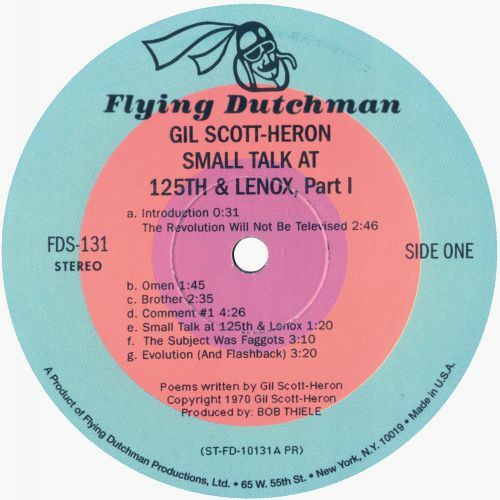 “Small Talk At 125th And Lenox” was the start of a 45-year recording career for Gil Scott-Heron. He became one of the best-loved and most respected artists of the late 20th Century, but never again released an album as simple and hard-hitting as this. 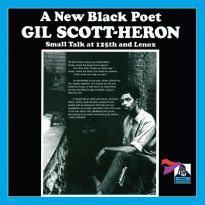 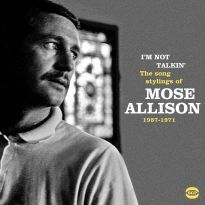 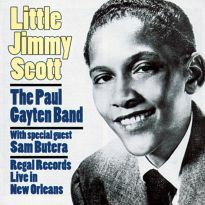 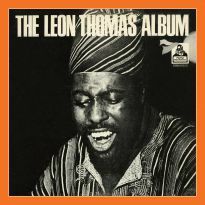 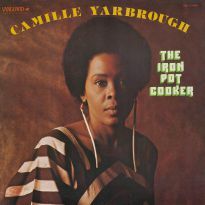 Recorded in 1970, “Small Talk” featured Gil and three percussionists performing his poetry, the rhythmic backdrop and the style of his delivery making it more than a spoken word record. 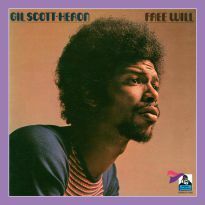 Today it is seen as a classic that stands head and shoulders above similar albums recorded at the time. Gil was resolutely a poet, and there is little doubt he could have made his career as an author, as he had originally planned. 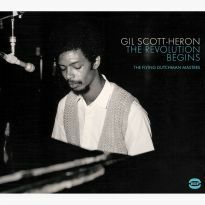 Throughout the album he writes as a reporter, viewing his community, attempting to make a difference. 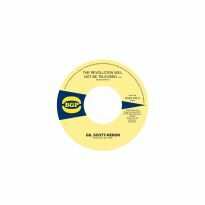 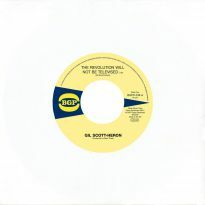 Better-known today in the band version from his next LP, the original version of ‘The Revolution Will Not Be Televised’ here is enthralling and compelling in its own right. ‘Whitey On The Moon’ contrasts the money being spent on the space race against the poverty of the housing projects, while ‘Paint It Black’ compares the black situation in the northern and southern states. 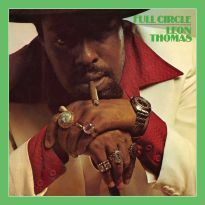 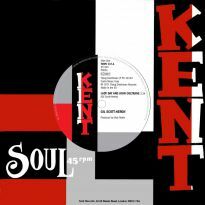 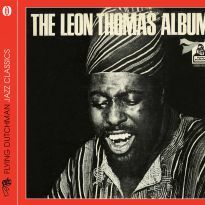 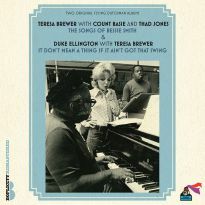 There are also three songs, including the Donny Hathaway-esque ‘Who’ll Pay Reparations On My Soul?’, that hint at what was to come. 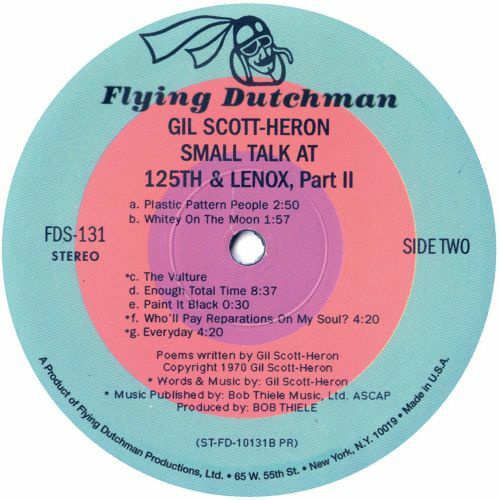 Gil had gone to Flying Dutchman owner Bob Thiele hoping to record his music. 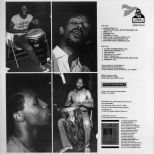 The producer didn’t have the funds at the time, so compromised with this album. 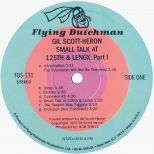 Its success prompted him to put Gil and his songwriting partner Brian Jackson in the studio to record with some of New York’s finest session players. 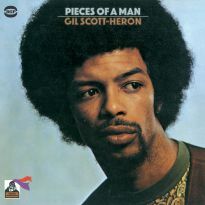 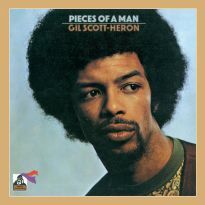 The resulting “Pieces Of A Man” album pointed the way forward for Gil’s career, but “Small Talk At 125th And Lenox” was a spectacular start. 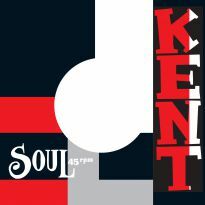 13 Preview Who'll Pay Reparations On My Soul?